Nine blogs on learning how to develop the fruit you need to have an abundant marriage. Follow this link to the series. Three blogs to re-ignite the fire in your marriage. Follow this link to read this series and more blogs on marriage. I shared my marriage testimony with Tony Marino and Lynn Kennedy on their radio program "Alive In Christ." Follow this link to read my marriage testimony. I talk about the main cause of our troubled marriage, and how God healed and restored our relationship with Him and each other. Living In Grace - Husband and father of three, Luther Wesley, teaches Biblical marriage and parenting principles every Wednesday. Stapleton Shenanigans - Blogs every Monday on "Misconceptions of Homeshoolers"
Fitly Spoken - Pastor, husband, and father of four, Greg Baker teaches on marriage and parenting. The QuadFather - At home dad of 7, including one set of quads, shares parenting and marriage articles. The Family Fountain - Pastor and Author Warren Baldwin shares marriage testimonies and teachings every Sunday. Mission Possible - Weekly blog for men and women who are in an unequally-yoked marriage. Author Deborah McCarragher also has a book out on this topic titled "Mission Possible." No Spring Chick - Wife, mother, and grandmother, Trena Zickefoose shares Bible stories and life stories. She shares a short teaching on her Woo Hoo Wednesdays, and shares life stories during the week. Servant, Wife, Mother - Heather Hart blogs about marriage and parenting. Sexual Addiction - Faithful & True is a Christ Centered-Bible based network of men who wish to abstain from sexual sin. The only requirement for attendance is the desire to stop committing sinful sexual behavior. They also have resources for women. The M.O.M. 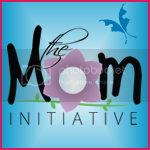 Initiative - a missional mentoring resource that will give Christian mothers an easy, hands on approach to passionately pursue mentor relationships with younger mothers and mothers-to-be, and ultimately impact the next generation for Christ.